I don’t know where Mr. Schnier resides, but if it is anywhere on Beach Blvd., Fernandez, Saunders, or anywhere near the Roloff park area, he might not be so enthusiastic about opening said marina to all of South Texas. Because that is what would happen if the marina is open without oversight. Folks from surrounding counties, and maybe even Mexico, would come take advantage of our, “Town’s Waterfront Jewel.” How would he suggest the town manage the daily running of this marina that is located in the middle of a residential area? Would every resident be given a key? Would there be a security guard at the gate at all times asking for ID and matching key? Would the good people of Laguna Vista take turns standing guard 24/7? No, I can’t see any of that happening. And what would he do with the excessive traffic, trash, and drinking drivers parking on every spare inch around town? Some of the good folks at last night’s workshop mentioned that thirty years ago residents could walk all the way down to the water’s edge. That may have been the case, but this is 2017 and, as folks keep insisting, things change. Our population has gone from around 600 to more than 5,000. 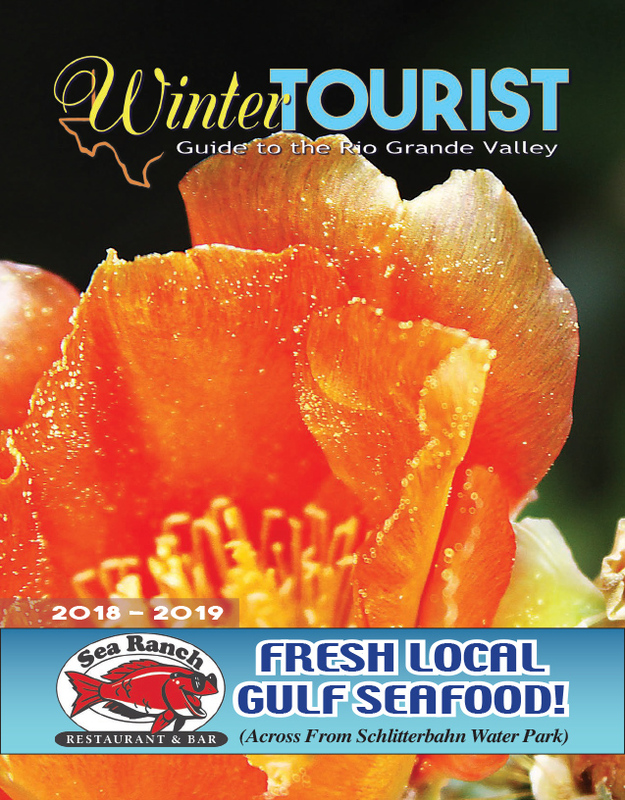 And that does not take into account all the many tourists and folks from surrounding towns like, Brownsville, Port Isabel, Laguna Heights, Bayview, and Los Fresnos who enjoy our town. At the same time, while asking for the marina to be open, It was noted that the residents of Laguna Vista want the marina closed off to nonresidents. How would that work? It is simple common sense that the marina be managed by those residents who use it. Otherwise are we going to have 5,000+ keys out there in circulation? Every resident with a key would be put in the impossible position of saying NO to family and friends who do NOT live in Laguna Vista but want to use the marina. How many would say no? So, multiply the 5,000 to include at least another 2,500 folks using the marina. I know, it’s ridiculous! And I’m sure the City Secretary, City Manager, and Chief of Police, would just love managing that mess on a daily basis. It was shared in last night’s workshop that the original intent of leasing the marina to the association, was that the association would shoulder all of the upkeep and maintenance costs for the marina. Why? Because the town’s then 300 residents did not want to pay for its upkeep. So, since 1971 the LVRA has kept the marina in good condition, maintained, insured, and operational with no cost to the city or residents. Contrary to one excited resident’s outburst at last night’s meeting, the town of Laguna Vista has not been subsidizing the marina all these years. As far as I know, not one tax dollar has been spent on any part of the marina in 45 years; that’s quite a savings. In conclusion, we the people have stepped-up and voiced our concerns. We now have to trust that the city leaders we elected to govern our beautiful town will do the right thing, which is leave the running of the town’s marina to those who use and care for it. And not to burden the tax-payer with the cost of the same. We learned that the main opposition to meaningful healthcare reform and support for Trump’s American HealthCare Plan before it completely crashed and burned was spearheaded by private health insurance companies. Eventually we will have a single payer system because it is the only thing that works. We may have to go to a democratic socialist state first, but we will get there eventually. Of course in such a system and such a state, private insurance companies will have their roles in healthcare greatly reduced if they do not go out of business altogether. The same thing happened with the rise of the internal combustion engine. There were hundreds of firms that built buggies, wagons, and other vehicles intended to be pulled by horses, and there were whole industries devoted to stabling horses and caring for them. I’m sure that they were sorry to see their industries ruined, but it is inevitable; just as the diminished role of private health insurance is inevitable. When a business no longer has any purpose to serve, it will go out of business. It is as natural a process as the sun rising and setting. I recently read a commentary published in the newspaper on Senate Bill 600 which would eliminate Chapter 313 outright and of several other bills currently being considered that would harm the program. What is Chapter 313 and why should we care? Property taxes are reported as the largest source of funding for Texas Public Schools and large industrial projects can add lots of new money to the schools quickly, so the school districts can consider a tax break to these projects. But, if the school district grants a tax break under 313, the state is obliged to cover the difference and the cost of this dealing comes out of the state budget which is paid by — the taxpayers. It is estimated that approximately $1.4 billion has been doled out by the state, and the Chapter 313 cost continues to rise resulting in regular budget reductions to public education. Can we term Chapter 313 as “corporate welfare” at the expense of our students’ education? Why should we care about Chapter 313 in the RGV? Let’s take the up to 3 LNG (liquefied natural gas) export terminals proposed for the Brownsville Ship Channel. In September 2015, Annova LNG went to the Pt. Isabel Independent School District (PIISD) and in its application said its terminal would be valued at $1.4 billion but asked that the district pretend for the next 10 years that it was worth just $25 million. Annova asserted that the tax break would be a key component in its decision to build. In Fall 2016, Rio Grande LNG, the largest of the proposed export terminals approached the PIISD asking for its own tax break through Chapter 313, asking as Annova LNG did that the school board keep the terminal’s taxable value artificially low for a decade, saving the company millions and asking us, the taxpayers, to pay their share instead. In addition to taxes, consider that these heavy industrial petrochemical plants do not pay for the cost of resulting pollution and never have. The local residents must bear the cost of their own deteriorating health and for the environmental degradation of the local refuges, parks, recreational and commercial fishing grounds. The authors who are in favor of Chapter 313, one who is the CEO of the Texas Chemical Council, asserted that the state “cannot compete for many new industrial and energy related projects”, but Annova and Rio Grande LNG (and Rio Bravo Pipeline) are still soldiering on with their permits and approvals through TCEQ (Texas Commission on Environmental Quality) and FERC Federal Energy Regulatory Commission — even if they couldn’t get their “tax breaks” from the locals.